Grinding Gear Games is digging deeper with the next Path of Exile update – or, more appropriately, it’s challenging players to dig deeper … and deeper … and deeper. 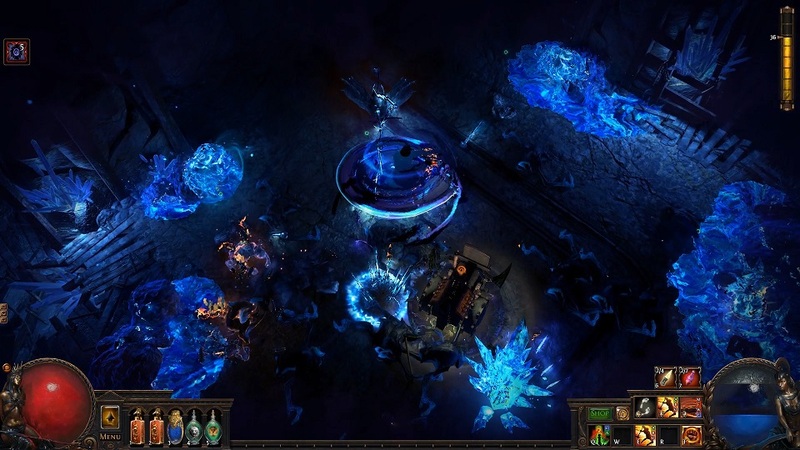 Path of Exile: Delve goes live on PCs Aug. 31 and on the Xbox One Sept. 3, and it’s as close to a classic dungeon dive as you can get with PoE. GGG’s Chris Wilson gave me the grand tour of the update’s dank corridors and moldy passageways, packed with odious crawling beasts, which reminded me not a little bit of the old house I just moved out of. Like any good PoE update, Delve comes with a map, one that’s unique for each character. In this case, it’s a map of an infinite dungeon, the Azurite Mine, that starts you at the top and extends to the sides and down as far as you want. The further down you go, the tougher things get and the greater the rewards. To get to those lower, more lucrative, levels, you’ll need to, well, delve. And that’s where things get tricky. Niko the Mad is the NPC who will help you plunge into the murky depths of the long-forgotten mine, and if my parents ever gave me any advice, it was to not trust anyone whose last name is “the Mad.” That’s doubly true if he’s got a machine that looks like a steam powered meat grinder/paper shredder that he uses to open passages and powers the Crawler, a cart-like thingy, which illuminates the mine as you traverse its passages. 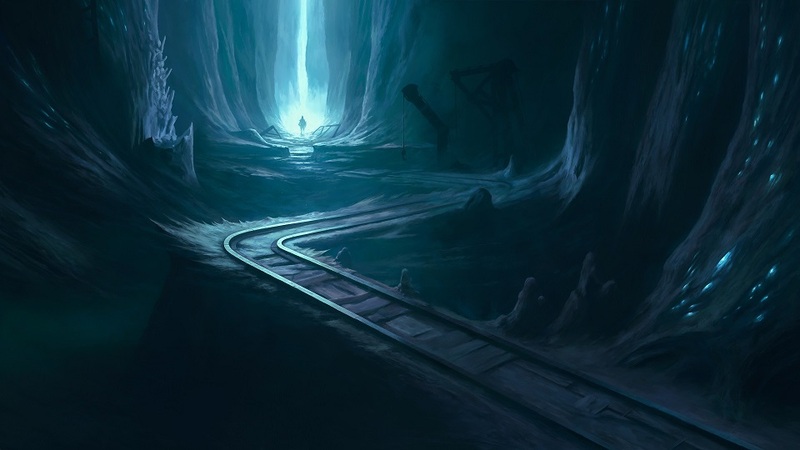 The light generated by the Crawler is an important resource you have, too, as the mine’s levels are cloaked in darkness that damages your character. The Crawler weaves its way through those levels and serves as your primary light source, so you’ll usually want to stick close to it. You can take a risk by going off the path, where each level’s most tempting treasures await. Fortunately, you have a new resource, flares, that you can toss into an area to provide light, and there’s also dynamite you can use to blow up certain walls and get to even more treasure. “I’d say around 80% of the rewards in this league are hidden in the darkness,” Wilson said. At the end of a level, there’s a special encounter, such as a boss fight or swarm of smaller enemies, or whatever other kind of monstrosities GGG can dream up. Once that’s dealt with, a path is created that connects your current area with the previous one – thanks to a wire that the Crawler has been laying the whole time – so you can move more quickly between areas or backtrack. Completing an encounter also nabs you a bunch of azurite shards, an important resource you’ll need to delve deeper into the mine. You can spend the shards on a variety of upgrades to help you navigate, such as better resistance to darkness damage or increased light radius for the Crawler, or you can spend it on flares or dynamite or to upgrade their capacity or capabilities. Wilson told me about a tester who spent everything on his flares, making them super-bright and long-lasting, so there are a lot of different ways to customize your experience through the mines. Wilson said that the number of players who achieved those heights were only in the “thousands,” as opposed to the millions who’ve played PoE, so it wasn’t a big issue, but he admitted that it’s still important to keep those kinds of players entertained. If you’re like me, and you’re not an uber-player, you can still have fun with Delve, though, digging as deep as you dare and stretching yourself horizontally instead of vertically while never running out of content. You can start doing the Delve content within a few minutes of creating a new character, so it will appeal to all levels of characters. On the other hand, if you ignore the content until you’re further along in the game, you won’t have to do level five content on your level 50 character. That said, not having those upgrades, the ones you purchase with azurite shards, will make things a bit on the difficult side. In the Bestiary League, GGG deviated from its typical stance of handing out random loot by giving players some greater control over the mods they could craft on their items. The Delve League does something similar, but also different. Currently, you can use an Orb of Alchemy to upgrade a normal item into a rare item, which gives it a slew of random mods. With the Delve League, you can find Resonators, which also upgrade a normal item into a rare one. But Resonators have one or more slots you can fill with a Fossil that can have a variety of different traits, such as “More Minion Or Aura Mods” or “More Lightning Mods.” Fossils can also cause certain types of mods to be excluded, so you’ll have a better chance of getting the mods you want and not the ones you don’t. “We have certainly done a lot of experiments with this [allowing players to have some choice over their weapon mods],” Wilson told me, “and I think this one here is the most general. With the Bestiary League, we made our table and put certain things on the list explicitly.” Delve’s system allows for much greater variety and doesn’t limit players to a few set formulas. Another interesting bit of loot coming (back) to the game are Reliquary Keys, which were present in the Legacy League last year and are now back as Timeworn Reliquary Keys. These open up an area where you can get a unique item from a former league, which Wilson compared to a golden or foil card in a CCG. These keys are extremely rare, with Wilson estimating that there would only be a thousand or two that would be discovered. There are also 18 new unique items, half each for the delves and for the main content. 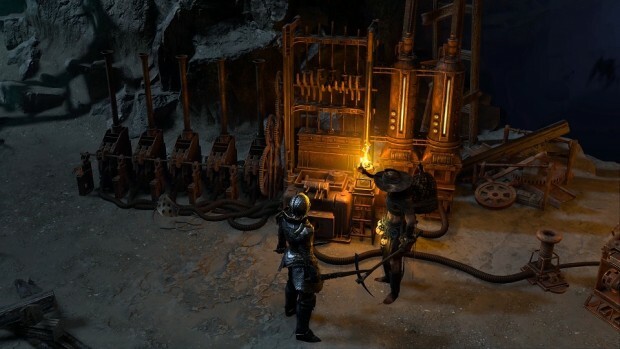 New content and loot aren’t all that Delve brings to Path of Exile. As is typical, there are skill revamps and a few new ones, including Smite, a skill ideal for guardian templars that rains down lightning when you strike an enemy in melee, as well as improving your and your allies’ lightning damage and shocking enemies. Pathfinder rangers might find Toxic Rain more to their liking; that skill creates spores on the ground that slow enemies and then explode to do chaos damage. New and improved graphics are also a highly touted feature of the new update, and Wilson went into great detail about new point lighting that made shadows stand out with a minimum of processing power. That’s especially important with all the mobile light sources in the new content and the need for them not to slow down the game when you’re fighting for your life. Toss in some ambient occlusion, global illumination effects, monster model improvements, and flowing water effects (GGG has a specific “water guy,” Wilson said with pride), and you might find yourself pausing, ever so briefly, from the endless slaughterfest to take a moment to appreciate the beauty of the game. What’s not pausing is Path of Exile’s growth. Wilson showed me a chart of the game’s concurrent player base, which peaked at the launch of mega-update 3.0.0 and then dipped back down for the next, somewhat smaller update, 3.1.0. It went up slightly with 3.2.0 and 3.3.0 got the game about to the same point it was when 3.0.0 hit – and this only includes players on the main PC servers that have always existed, not Xbox or even China/Taiwan. 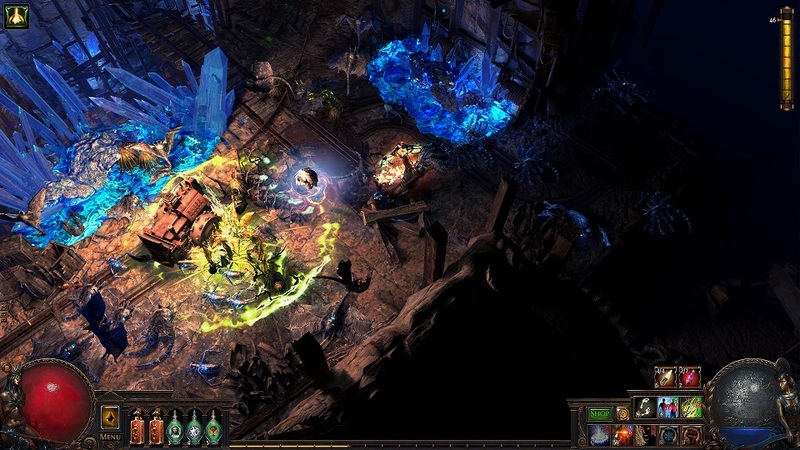 So Path of Exile keeps going up, even as its players prepare to go down into the depths.